Hi bears!! I hope you guys are having an amazing week. Anastasia Beverly Hills is a brand I've never tried before but heard nothing but good things about it. AND YES! Finally after eyeing it for so long, I got my hands on this bad boy, Anastasia Beverly Hills Modern Renaissance Palette. 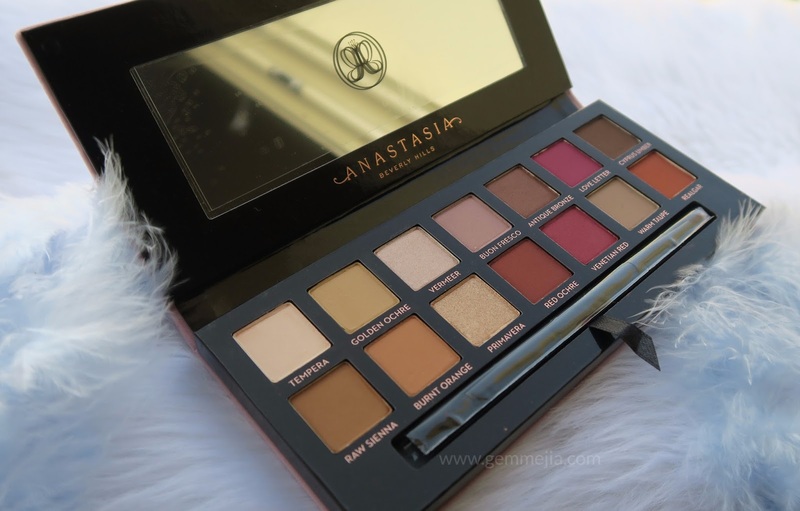 Personally, I am considering the price of this palette that's why it took me so long to finally gave in. This is a love at first sight. ❤ I am very excited to share my thoughts on this product. I have tried it a few times and swatched it various times over. As for the packaging, this is a sturdy made of more like cardboard baby pink velvet fabric. I am not a fun of it's packaging because it's collects eye shadow fall outs and gets extremely messy and ends up looking dirty. When you open the palette, you will have a decent size mirror. It does come with a double sided bristle brush which are very dense. One end is a blending brush and the second is an eye shadow shading brush. This is my first Anastasia eye shadow palette and I am very happy with it. 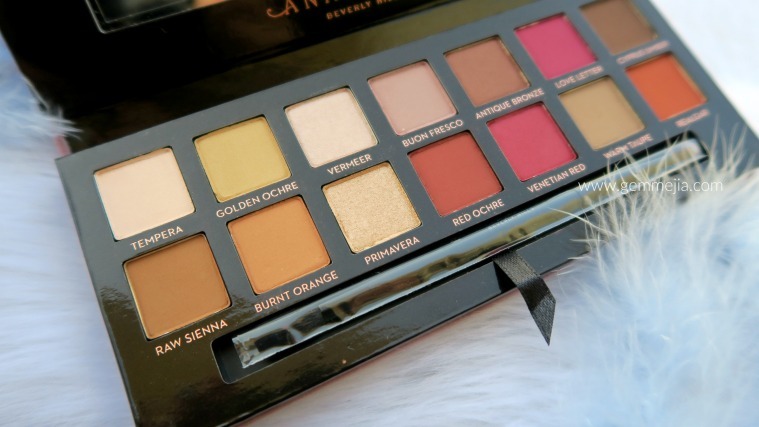 And now this is my holy grail palette. I love every shades. The texture of the eye shadows are so buttery smooth that apply so well to the lid. All the shades are highly pigmented and easy to blend. It also lasted onto my lid even without applying eye primer even though my lids tends to be oily after some time. Warm eye shadows have been incredibly on trend for years now. People have been going gaga over red and berry looks. So this palette is really perfect if warm shadow are right up your alley. It retails for 230 dirhams (AED). 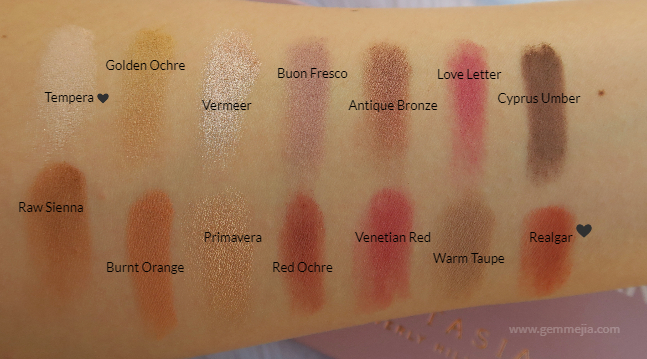 The palette features 14 shades that includes neutrals, warm and berry tones. One thing to consider is that this has mostly matte eye shadow so if you prefer metallic or shimmery, this may not be the product for you to go with. Overall, I love this palette way more than I thought I would. 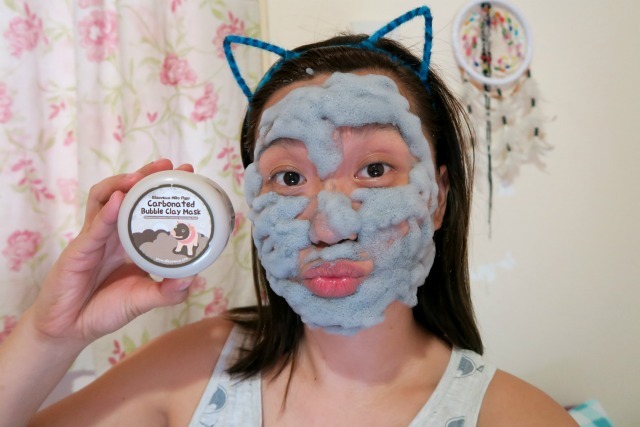 It is perfect for day and night time makeup look. Oh well, the shades are so perfect for all seasons. Here is the very first look I created with this glorious palette. 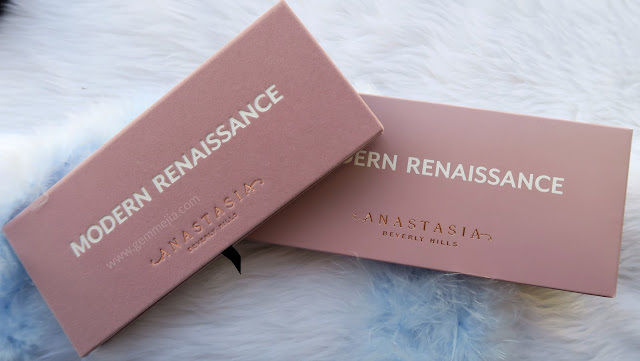 Have you tried the Anastasia Beverly Hills Modern Renaissance Palette? Let me know your thoughts down in the comment section.